PHOTOGRAPHERS BEWARE! If you travel with us on our Wildlife of Costa Rica Tour you may not return home! That’s right. But not for any scary reasons, or anything as such. Its Costa Rica’s “pura vida” that may have you house hunting! After seeing the sights, hearing the sounds and smelling the scents of what this small piece of land in Central America provides the human experience, you just may be looking to relocate. Pura vida means “pure life,” and it has become the unofficial, official slogan of Costa Rica. Extending from the Pacific Ocean to the Caribbean Sea with a width distance of barely 200 miles, Costa Rica is an ever-changing landscape and you never know what you might see or what might be around the next corner. Whether it is volcanos, jungles or the fabulous black sand beaches, the opportunities are endless. Especially when it comes to the crazy critters of Costa Rica, the highlight of Backcountry Journeys Wildlife of Costa Rica Tour. 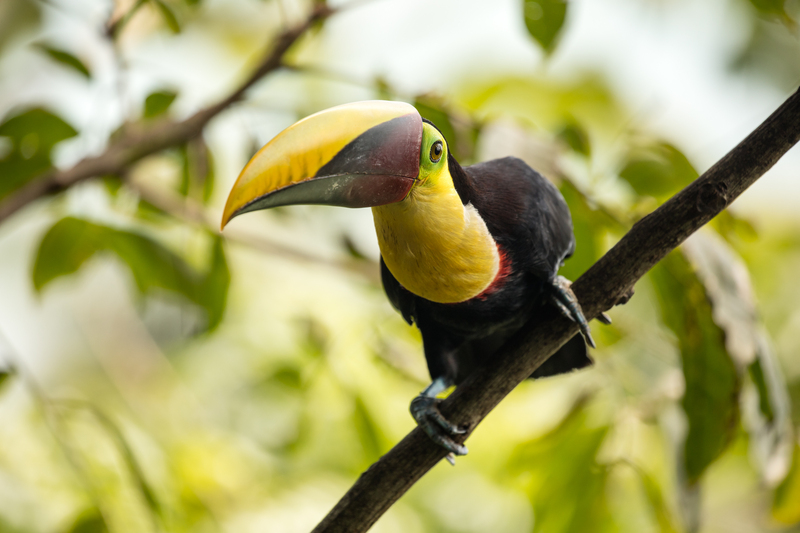 Each day while on this tour, we’ll set out to explore the wealth of Costa Rica and its wild inhabitants. We’ll spend time in Corcovado National Park as well as the Osa Peninsula, each ripe with interesting animals. The Osa is the only place in Costa Rica home to all four of the Costa Rican monkey species including the white-headed capuchin, the mantled howler, the endangered Jeffries spider monkey and the Central American squirrel monkey. Aside from monkeys the Osa is home to Coatis, two and three-toed sloths, dart frogs, Hummingbirds, tapirs, crocodiles and jungle cats such as pumas and ocelots. Rare bird species such as toucans, scarlet macaws and the resplendent quetzal will surely be flying across the jungle canopy. Corcovado National Park protects within its boundaries 41,788 hectares of shallow lagoons, marsh, mangrove swamps, rivers, wet forest and low-altitude cloud forest, as well as 46 kilometers of sandy beach. Corcovado is one of Central America’s most unique ecosystems. Within its extensive territory are some 6,000 insects, 500 trees, 367 birds, 140 mammals, 117 amphibians and reptiles, and 40 freshwater fish species. 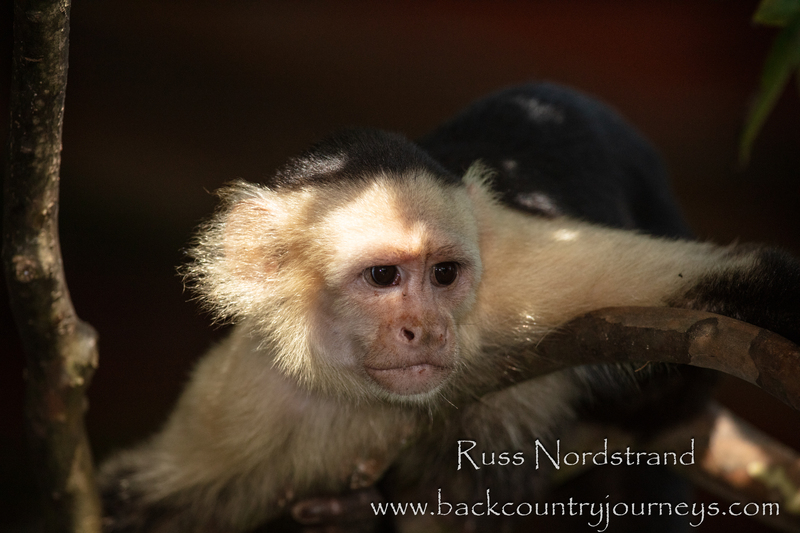 And that is what this blog post is all about… The critters of Costa Rica! There is simply no experience equal to photographing these strange and beautiful creatures, so let us take a closer look at some of these critters so when December comes and we’re down in Costa together creating amazing images, we’ll know what we’re looking at. 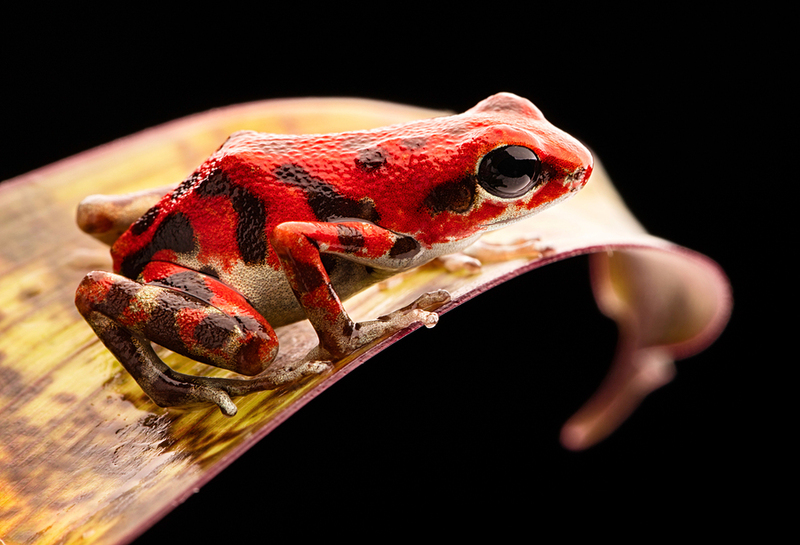 The strawberry poison dart frog is a unique creature for many reasons but perhaps mostly because it can morph from red to green to navy blue! These frogs, found all throughout Central America and Puerto Rico, are toxic, but only if they are in the wild because they create their poisons from natural elements found in the jungle. 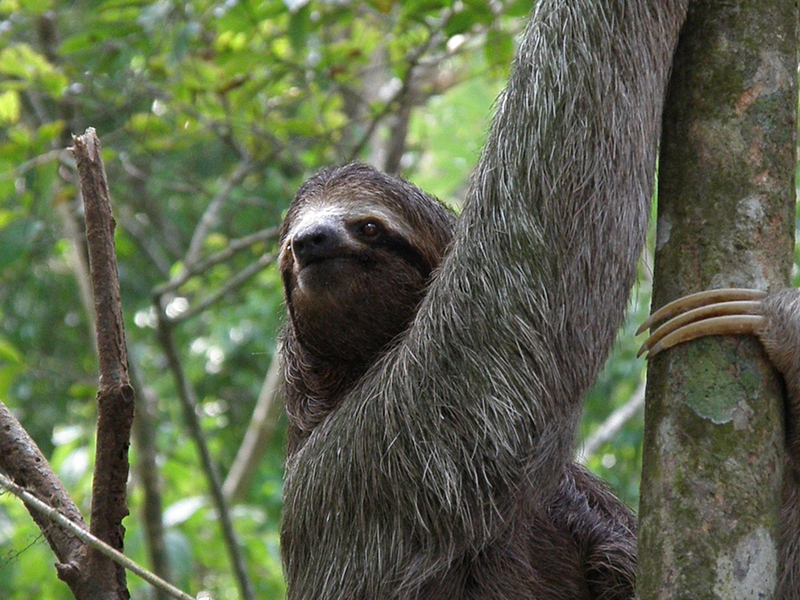 Known for being incredibly slow, the three-toed sloth likes to sleep between 16 and 18 hours a day. Even though they are slow, they are very strong swimmers, believe it or not. 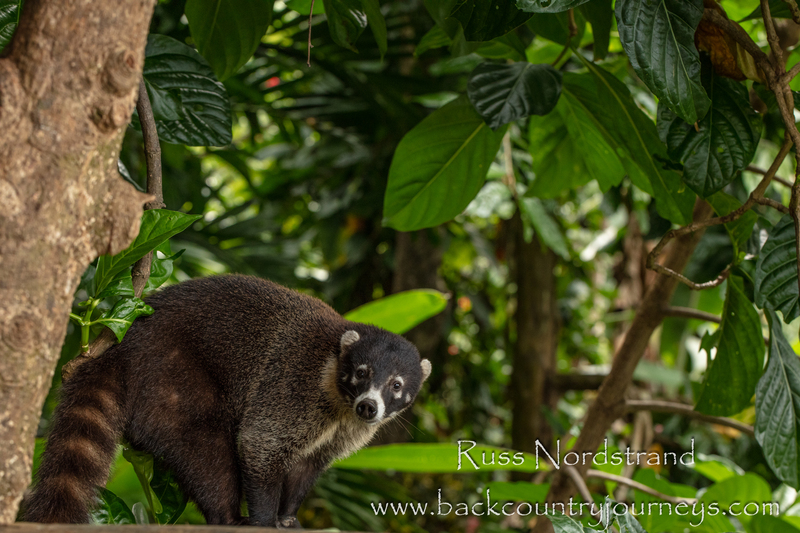 Known as the “Snookum Bear,” coatis are a relative of the raccoon and can be found as far north as Arizona. They have strong jaws, sharp teeth and can swipe quickly with their paws. Unlike the nocturnal raccoon, which is active at night, the coati sleeps when it’s dark. Coatis love eating. 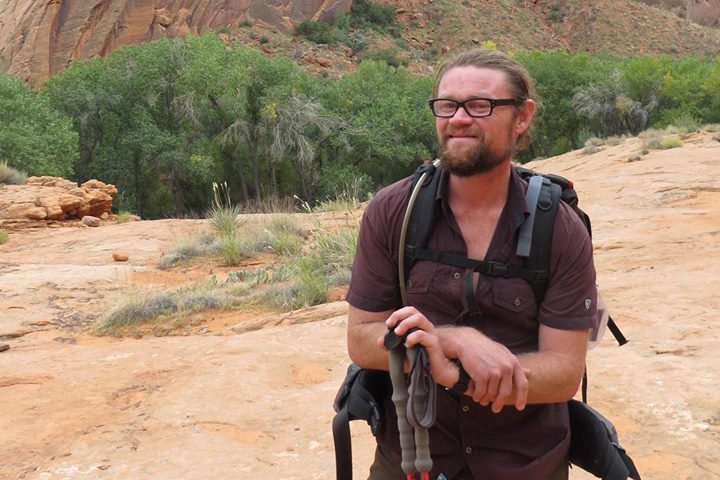 They go after insects, fruit, rodents, lizards, and small snakes. And then to the birds. The chestnut-mandibled toucan is the biggest toucan in Central America and is a prominent member of the habitat. Toucans mostly eat fruit, though will make do with insects and small snakes, too. In Costa Rica, they are found in the wet forest lowlands of the Caribbean and on the Pacific side along the Cordillera de Talamanca up to Carara. 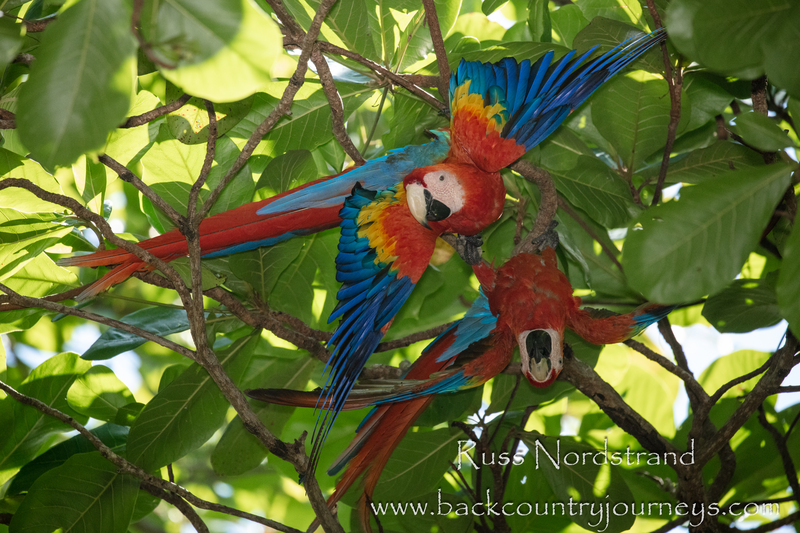 The Scarlet Macaw is probably one of the most beautiful birds of the American tropics. And count on seeing a bunch of these birds as our lodging location on the Osa Peninsula, The Lookout Inn, is a fantastic spot to spot and shoot images of Macaws. The Scarlet Macaw lives in lowland rainforests, open woodlands, river edges and savannas of Central and South America, with a range that extends from Mexico to the Amazon. Baby Macaws are born without feathers, however, after around six months they are fully plumed and look much like their parents. They can live up to 50 years. Macaws mate for life, and if one of the couple were to die, the other stays alone for the remainder of their life, too. Tracking and shooting these critters will test and advance through instruction our photographic skills. We’ll learn how to shoot macro subjects, spot and photograph wildlife in low-light jungle conditions and use both on and off-camera flash techniques to capture the moment. By the end, we’ll walk away from the Costa Rica experience with a wealth of new skills and experiences, and hopefully some dazzling images for your portfolios and walls.